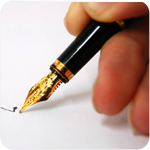 We write sales copy for the real estate industry – we write the words on the page (brochure, board, internet) that sell. Find out more information about our sales copywriting service here. 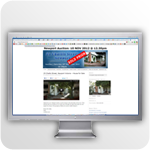 We create individual stand alone showcase property websites with their own unique website URL (eg: www.25YorkStRichmond.com). These websites are found online by buyers using the internet to search for properties. Each website is optimised to be found by search engines, such as Google to better increase the chances of buyers finding your project online. Find out more information about our showcase property website service here. We write content, in the form of blog posts about properties and projects for sale, to create that emotional connection between a potential buyer and a home that is so important and to paint the picture of what the property will be like. People buy on emotion. Through creative, emotive blog posts, we create that emotion so people can “see, feel and touch” the property, even with off the plan stock. 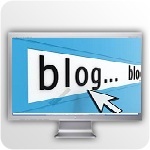 Find out more information about our content creation service here. Looking to satisfy your Client and achieve the very best result possible for your project? We can help! With an off the plan project being, quite literally, intangible to your buyer, how effectively are you marketing your project online to match today’s increasingly online-savvy buyer? Emotion sells. 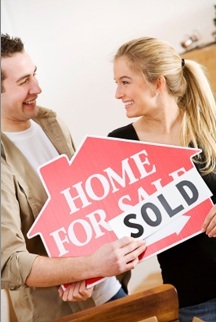 We are the experts in Social Property Selling to create that emotional connection between your project and your buyer. 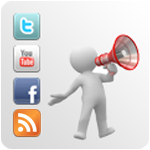 Maximise your online exposure today to secure the very best result for your project. Talk to Social Property Selling about how we can get your project in front of a wider audience, all via the use of something most of us use every day – the internet. Typical home buyers take 3 months to buy, with 52% turning to the web as their first step. Of these, 24% take an action online the SAME DAY they start researching. Active buyers then inspect just 10 homes, on average. Maximise this window of opportunity TODAY to make sure YOU have the greatest chance of a potential buyer finding your project. Your development MUST stand out online. Ask yourself… will they even find your latest development project? Imagine if prospective buyers visiting your project listing already knew all about the stock on offer. They already know what a fabulous neighbourhood it is to live in and they already love the idea of calling your project home. How? Because we’ve told them. Particularly with a new build, buyers often don’t have the vision you have to fully appreciate a project, without having first connected with their senses – to see, to feel, to smell, to touch a property, like they can with an established home. People often buy on emotion. It’s through the clever use of content, the written word, we create that connection – a powerful, emotional connection to engage a buyer and step them towards a buying decision. We’ve already shared with prospective buyers the joys in living in the home. We’ve shared what they’re going to love about their home and how convenient everything will be for the new owner when they call the same neighbourhood home. For investor buyers, it’s about creating that picture of why your project is deal for their tenants. They’ll rest easy knowing that they will easily find tenants who love the facilities and the local amenities. Isn’t it time to stop using stock coffee shots and images of trams and truly showcase what makes your project stand out from every other project currently on offer? Here are a range of ways we work with you to help you achieve the very best result when it comes to showcasing your latest off the plan project or new listings and getting your stock allocation sold. Rather be selling houses rather than writing about them? We write professional, effective property ads for you. Market your latest project or listing with it's very own showcase website, a powerful and proven listing tool. Ideal for off the plan where nothing is yet tangible for your buyer, we create an emotional connection to a project through the clever use of the written word. Give buyers quick and easy access to more details about your projects. 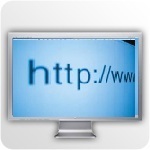 Not sure what a website redirection link is or how it can help you sell your project? Make it easy for buyers on the go to find your project listings. 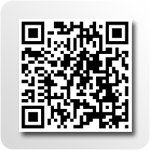 Not sure what a QR code is or how it can help you sell your project?